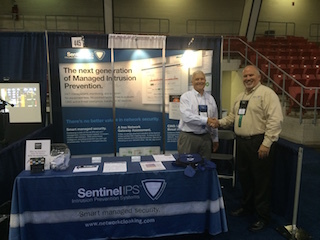 Last week, the Sentinel IPS team traveled to the SUNY Tech Conference in Lake Placid, New York to catch up with some customers and learn about what new technologies are shaping the future of education. This year’s conference theme was all about Connected Learning, or how disciplines like technology and information can merge to offer more personalized learning experiences. We also enjoyed many great conference tracks that covered subjects like IP migration, data centers, and optical communications. The demand for bandwidth is higher than ever. In the age of Connected Learning, trends like online learning and BYOD in classrooms have created the need for educational institutions to implement higher and higher bandwidth capabilities. As schools begin to rely more heavily on learning tools like video, telephony, and wireless connectivity, CIOs must ensure their infrastructure is equipped to handle such heavy network traffic. As this trend evolves, we predict that 10 Gbps interfaces with 5 Gbps throughput will not only be the norm, but an expectation. On a related note, we right in the middle of testing our new 10 Gbps hardware, so stay tuned. More data means more security. As Connected Learning grows, so does the amount of sensitive information that is transmitted across networks. Ensuring that this data is secure is just as important as having the broadband capabilities available to manage it. This means that educational institutions – and all industries in between – must ensure they are taking the appropriate steps to secure the valuable and private information traveling on its networks. These steps include CINS threat intelligence implementation, network monitoring, and data analytics. Insights like these are what help the Sentinel IPS provide the best solutions for our customers. Only when we understand our customer’s industry and pain points can we deliver the right network security service and solution for their needs. Interested in learning more about how Sentinel IPS helps its customers keep their data secure? Send us a note here, or connect with us on social media … We promise we keep our posts security focused and relevant – honest.